Papa P has been paying forward for 9 years now through Sunlife PH's Sunpiology Run. Ms.Mylene Lopa, Marketing Head for Sunlife Financial narrated at the media launch at Seda Hotel BGC how Sunpiology changed from a photo exhibit to a fun run nine years ago. 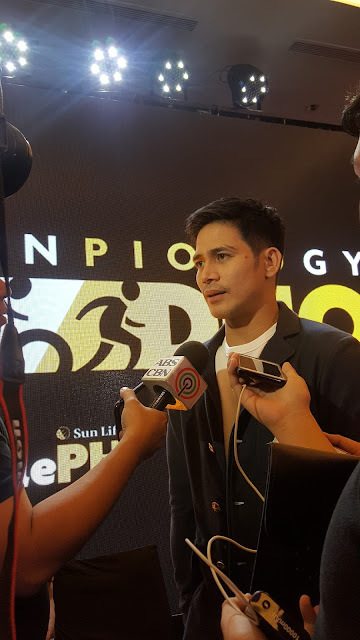 Piolo Pascual then took photos of his family founded Hebreo Foundation and StarMagic's participating talents to start enjoining more to a fun run for health and wellness of the Filipino. We joined Piolo Pascual, Coach Rio and Sunlife PH Executives in Sunpiology Duo media launch at Seda Hotel BGC hosted by Robi Domingo yesterday. Now on its 9th year of celebrating health and wellness, Sunlife Financial Corp launched its Sunpiology Duo, a fun run and cycling marathon for the benefit of Hebreo Foundation. StarMagic Philippines celebrating its 25th anniversary will run with its formidable talents including SunLife celebrity ambassadors Matteo Guidicelli, Inigo Pascual, Marco Gallo and more also with international triathlon Robbie McEwen. 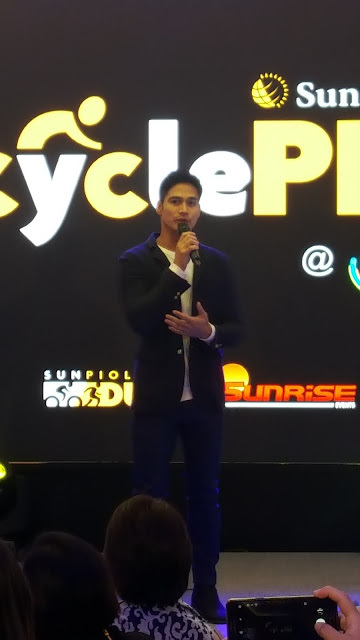 SunLife's CyclePH is on Nov18 where you can #Bid2Bike to play with Piolo or other StarMagic artists and #ResolutionRun with RunRio #CoachRio on Jan20 next year. Race Kits and online registration is now open at www.sunpiology.com.